No its not what you think! 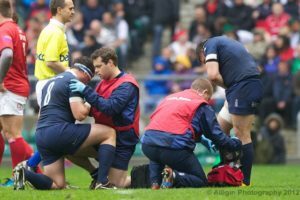 Gaz Evans picked up a shoulder injury at the 2012 Army Navy match. Gaz Evans returned from the Commonwealth Cup with a trophy, man of the match award and a sore knee. Initial diagnosis suggested cartilage but following a scan he was found to have ruptured his PCL and will be out of action for up to four months. It is another set back for Gaz whose all action style has always put a huge strain on his body but has usually remained injury free. Navy followers no doubt had a sinking feeling when he was forced to leave the Twickenham pitch early during the annual Army Navy match last season. As most know the Navy can ill afford to lose someone of Gaz’s undoubted talents who always seemed to produce big performances on the biggest of stages. 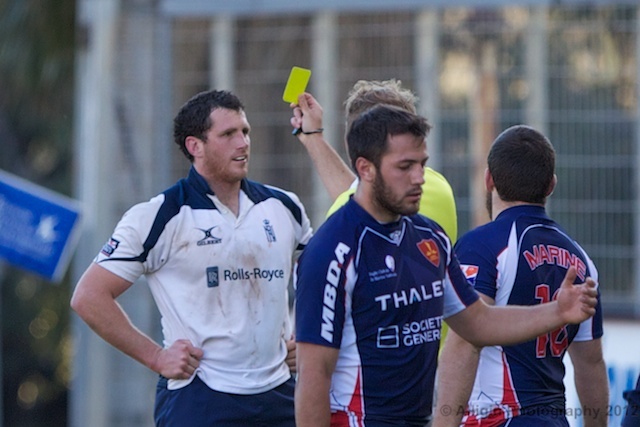 It is too early to predict when he will be back in full flow on the rugby pitch but he will be undertaking intensive rehab at Headley Court over the next three weeks meaning that the Combined Services will not have the availability of one of their best and most versatile forwards. Gaz Evans at his best is a handful for any side. The Combined Services will be playing the Remembrance Day fixture against Crayshaw’s Welsh XV at Pontypridd RFC on Wednesday 7 November KO 19:30. Prior to the match the Combined Services Women will be seeking to prevent the Australian Services producing a grand slam of wins on their 2012 UK Tour. 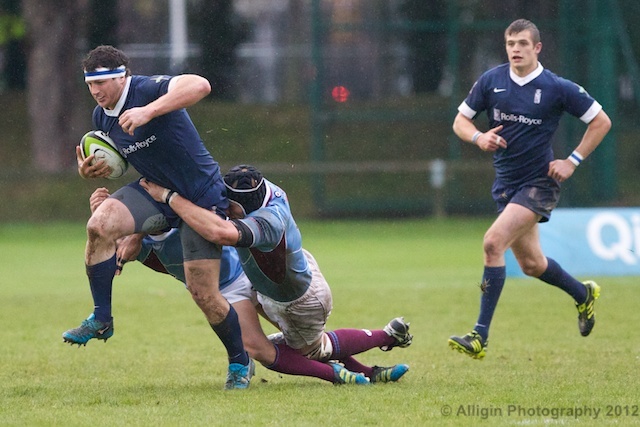 Their match kicks off at Caerphilly RFC at 14:00 on the same day. 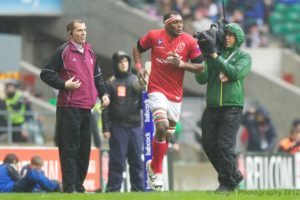 Isoa DamuDamu – continuing his long and slow recovery from the injury he sustained at TWickenham last year. Following his horrific knee injury at last season’s Army Navy match Damu continue his rehabilitation by helping to coach his unit 17 Port Maritime. Even when he was at his busiest with England VIIs and Army representative rugby Damu was always extremely supportive of his unit side and is, in so many ways, a role model for others. On Wednesday 17 Port Maritime hosted 12 Regiment Royal Artillery. Damu soon saw his side 17-3 down to the RA side and they reached half time 23-10 behind. Despite a strong comeback in the second half and a conversion to equal the scores Isoa saw his team narrowly lose 29-27 in this Army Premiership match. However of more importance is that those unique skills with which Isoa graced so many rugby fields around the world are bing fully utilised. With his Maritime connections I am sure he would do a couple of early season sessions for the Sharks next year. The update on Isoa was kindly provided by Jonathan Fowke of JPF Sports Media.